BRYAN EATON/Staff photo. 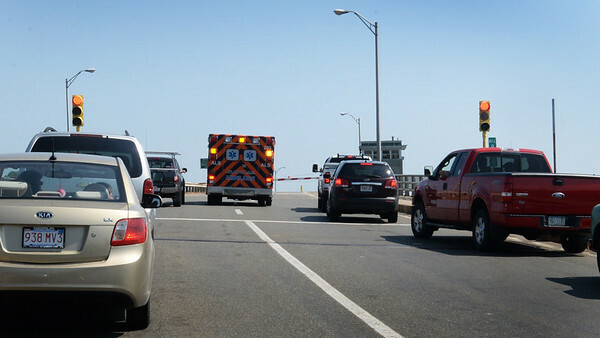 This ambulance along with other traffic was halted when the Gillis Bridge on Route got stuck for about 15 minutes on Tuesday afternoon. It was headed to a pedestrian being struck on Beach Road in Salisbury in what turned out to be minor injuries.